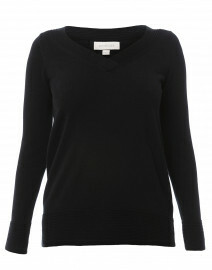 Marc Cain’s black sweater is a charcteristic interpretation of the label's bold approach to knitwear. 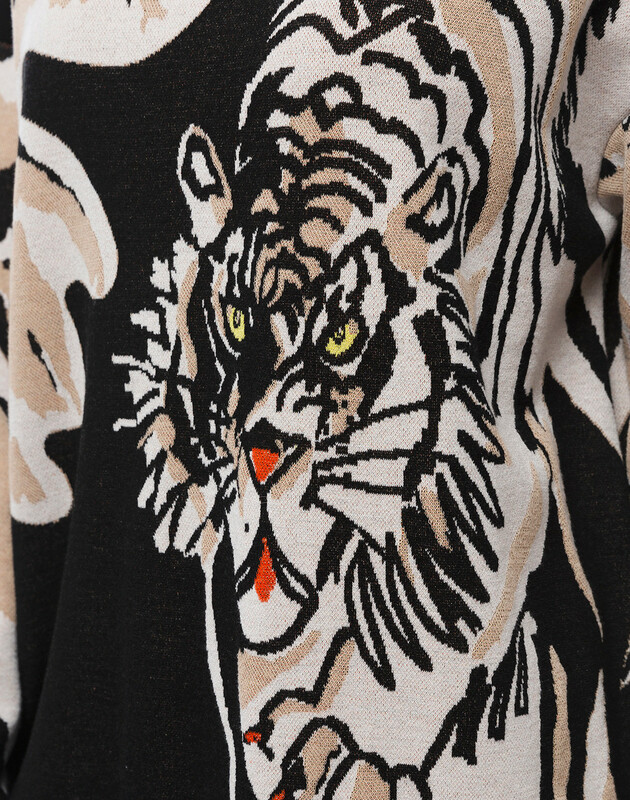 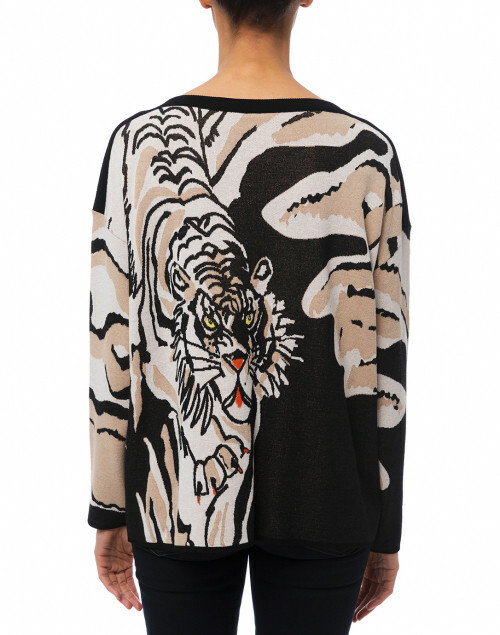 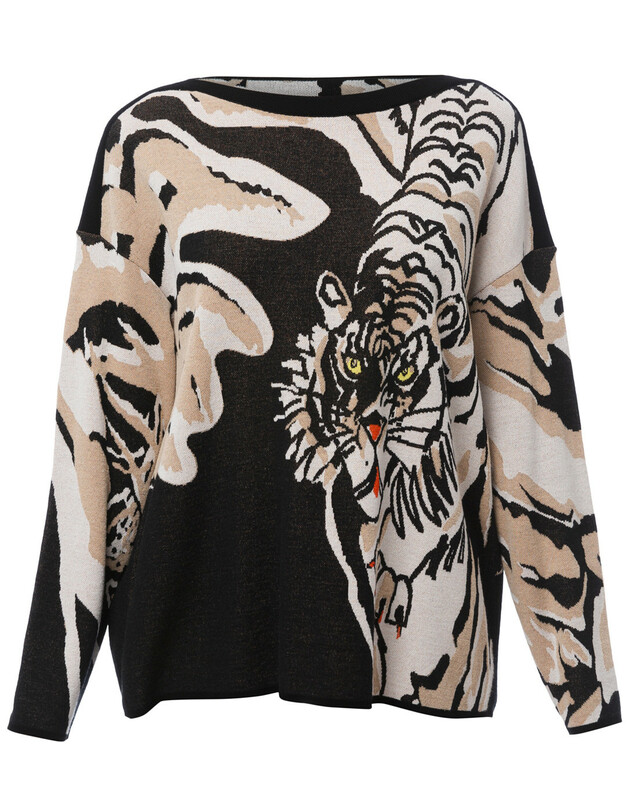 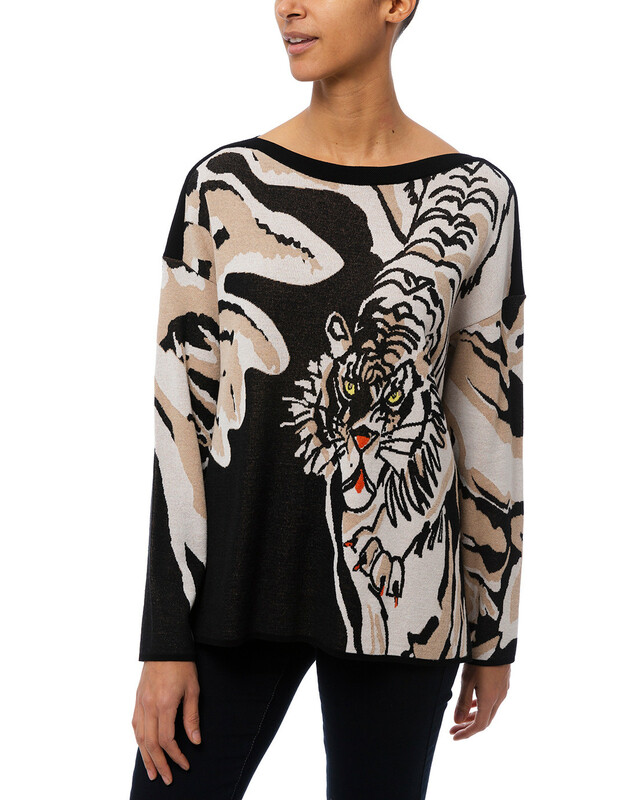 It's shaped for a relaxed fit with a boat neck and long sleeves and features an intarsia-knit tiger pattern. 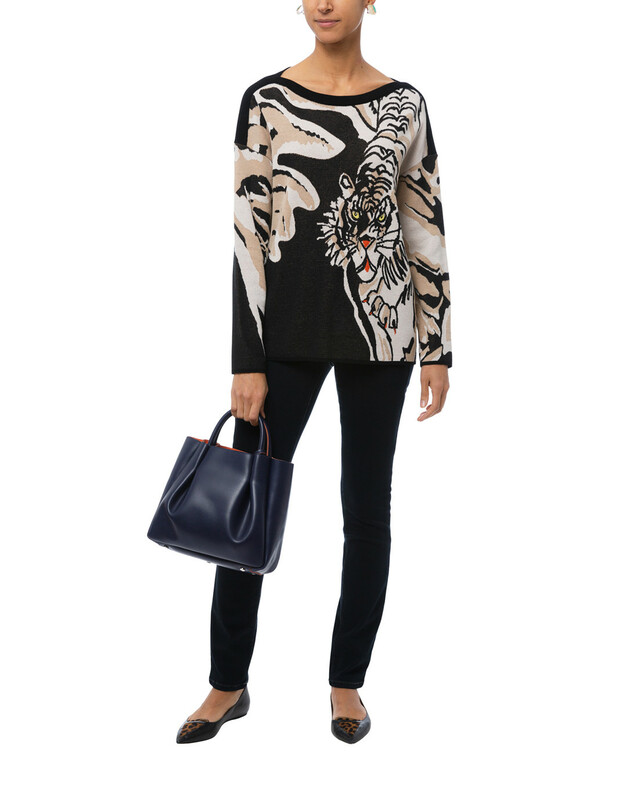 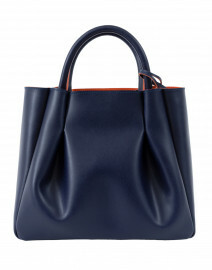 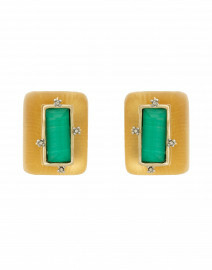 Ground it with black trousers and simple accessories. 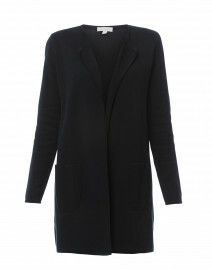 Length 23.5" 24" 24.5" 25" 25" 25.5"
Shoulder Width 20.5" 21" 21.5" 22" 22" 23"
Bust 42" 43" 44" 45" 46" 48"
Waist 42" 43" 44" 45" 46" 48"
Hip 42" 43" 44" 45" 46" 48"
Sleeve Length 19" 19" 19" 19" 19" 19"